If you want to live somewhere with old-fashioned charm, but you’re not ready for a historic renovation just yet, check out these Birmingham apartments. The gorgeous buildings and fantastic interiors will make you feel right at home. This beautiful building will charm you from the get-go. The brick courtyard and lovely rooms are the perfect inspiration for your next great American novel, and the location couldn’t be better. Living in Five Points means you’re within walking distance of all kinds of activities and some of the best food in Birmingham. Think: Surin or the Original Pancake House. Don’t let the historic charm of this place fool you, Ballard III has been newly renovated to give you the best bang for your buck with a little character and a lot of modern amenities. Because “historic” doesn’t have to mean “old,” you’ll be perfectly comfortable with new appliances and countertops, and the dark walnut hardwood floors provide the perfect amount of charm. Located in the heart of Birmingham’s historic Five Points district, LaSalle is the perfect place for anyone who likes to be out and about but needs a homey space to call their own. With plenty to do right at your doorstep (shops and services like Renaissance Records and Orbit hair salon), you never have to travel far to fill your day with fun. Minutes from all the action in downtown Birmingham, Highland Court provides the perfect escape from a noisy, frenzied day. You’ll be surrounded by parks that are just waiting for you and your Jane Austen novel, but the atmosphere inside your apartment will be just as pleasant. The building is surrounded by green, and your cozy space will feel like another world. Spend your day off looking out over the city or in the middle of the action in these historic Southside apartments. 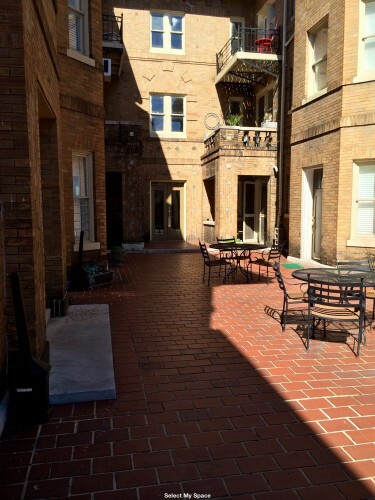 Affordable and near campus, Sussex is perfect for the UAB student just starting out. The commute to class is a breeze, and there’s always something to do on the weekends — whether it’s a delicious dinner at Dreamland BBQ or showing off your karaoke skills at Club South.